If the web page security validation is turned off, the above error message might be presented when trying to create a document library or list in SharePoint 2010. To change the setting, log into Central Administration, manage the web app and change the general settings of the web app to enable security validation. This entry was posted in SharePoint and tagged error, SharePoint Administration on 2011-08-25, Thursday by Stefan Johansson. Why, yes… its in Swedish. 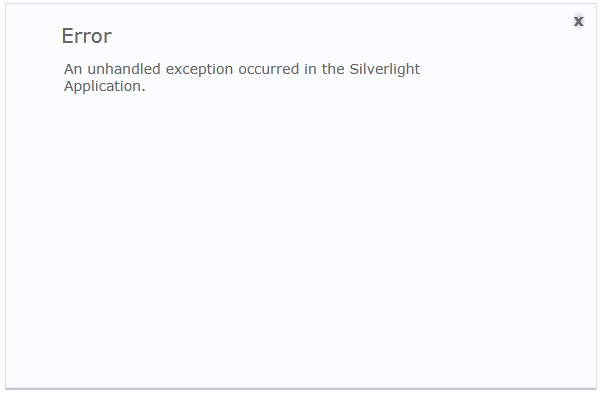 It mentions that an operation failed… And asks if the information was helpful. Not really, some more details as to what failed and what to do about it would have been more helpful. After scratching my head a bit I figured that it was because the name of the recipient had an extended or international character in their name. So… my address-book is full of proper names, with é’s and åäö’s etc. in them. Can anyone tell me what’s going on and how to get operations back to normal again? This entry was posted in General and tagged error, fail, Outlook on 2010-11-06, Saturday by Stefan Johansson.